A 6 year old girl, who was previously diagnosed with Temtamy-Brachydactyly syndrome (growth retardation, talon cusps, sensorineural deafness, and bilateral symmetric abnormalities of hands and feet) was admitted with 3 months’ history of decreasing mobility, and brisk reflexes. An MRI scan (fig.1) revealed a Chiari malformation with extensive cervico-thoracic syringomyelia, signal changes in the right cerebellar peduncle, but with no hydrocephalus. She underwent Foramen Magnum Decompression with duraplasty. The posterior arch of C1 was also removed, the dura was opened, and a duraplasty carried out with artificial dural substitute. A postoperative CT of head (fig. 2) done 2 weeks later showed bilateral subdural collections and a pseudomeningocoele at the operation site. 5 weeks after the operation, she presented with severe headache and vomiting. An emergency CT (fig.3) showed enlargement of the pseudomeningocoele with acute hydrocephalus. 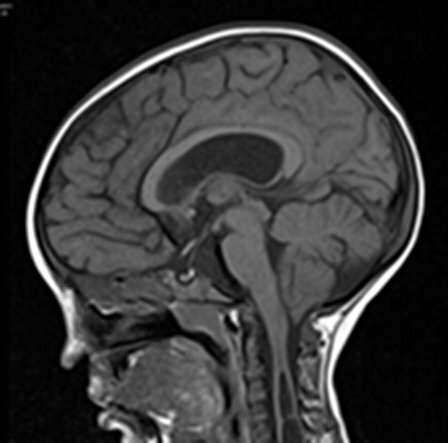 An MRI (fig.4) showed adequate decompression at the Foramen magnum but persistent syrinx and the hydrocephalus, with features of raised pressure. We debated whether to redo the foramen magnum decompression, or to insert a ventriculoperitoneal shunt and after discussion we decided to perform a shunt. 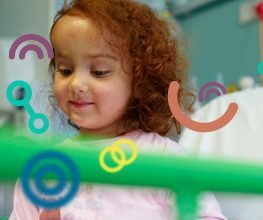 The child has now improved and been discharged home following shunt insertion. We plan to repeat the MRI in 2 months to see the state of the syrinx, and the adequacy of the foramen magnum decompression. Although the treatment of Chiari 1 malformation is theoretically straightforward, with foramen magnum decompression being the standard procedure, the complications may be considerable and may require further surgical intervention.